The A 50 Mainstay SDRLO (Long Range Detection System) aircraft is based on a stretched Ilyushin IL-76 Transport in widespread service with Soviet Forces combined with an upgraded "Flat Jack" radar system. 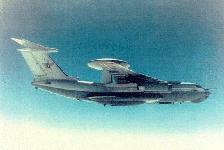 Developed to replace the TU-126 Moss (a variant of the Bear bomber), the Mainstay first flew in 1980 with about 40 produced by 1992. 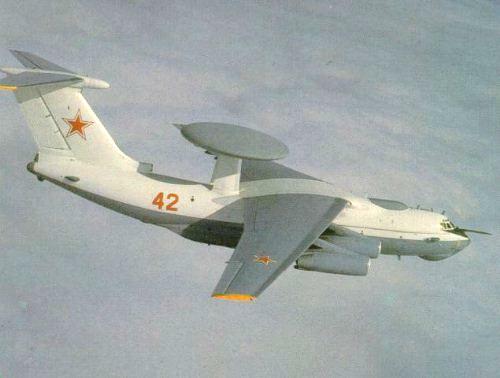 The Mainstay is not as sophisticated as its western counterpart, the E-3 Sentry, but provides Russian Fighter Regiments with an airborne control capability over both land and water. Mainstays have been used by the Russian Air Force at bases in the Kola Peninsula and for observing Allied air operations during the 1991 Gulf War from bases in Ukraine. 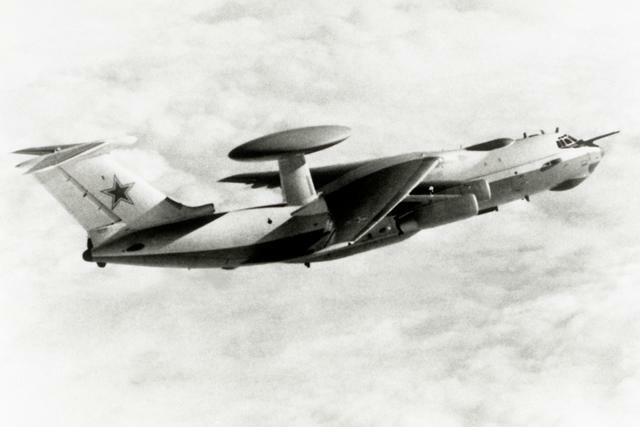 In 1994 NATO proposed making the E-3 Sentry and the Beriev Mainstay interoperable to enable Russia to provide AEW&C support to future United Nations or coalition operations. The aircraft's wings are high-mounted, swept-back, and tapered with blunt tips. There are four turbofan engines mounted on pylons under and extending beyond the wings� leading edges. 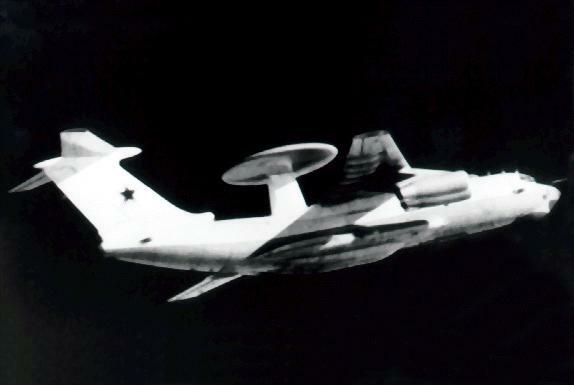 The fuselage is long, round and tapered to the rear with a radome on the chin. 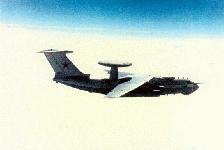 There is a saucer type radome on top of the aircraft. There is a stepped-up cockpit. 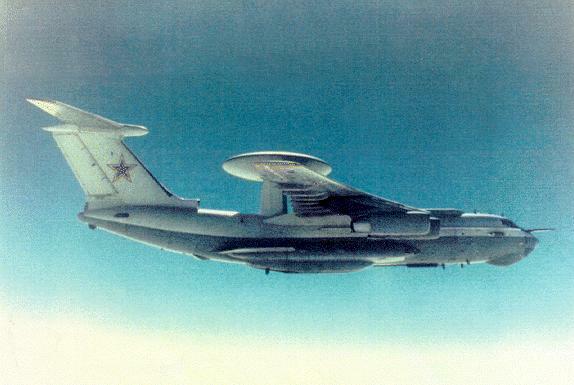 The fail flats are swept-back and tapered with blunt tips high-mounted on the swept-back, tapered fin, forming a T. The aircraft can stay aloft without refueling for four to six hours and can remain airborne for another four hours with mid-air refueling. The aircraft has a maximum range of 1,800 kilometers, while the radar has a detection range of up to 800 kilometers, and can track 200 targets simultaneously. 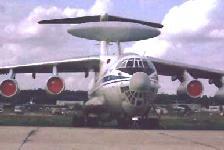 In early April 2000 Russia reached preliminary agreement to lease two A-50 aircraft to the Indian Air Force to step up its aerial surveillance on the border with Pakistan. 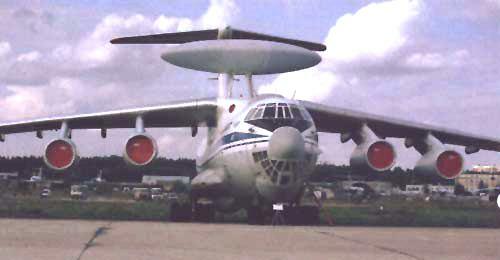 India conducted trials of the A50 in July 2000, and the results were reportedly satisfactory. 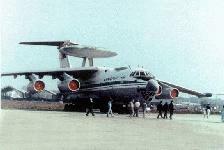 In September 2000 it was reported that Rosvoorouzhenie, Russia�s arms-exporting company, had entered negotiations with China to lease a pair of A-50 aircraft, as a replacement for the Israeli Phalcon. The terms of the lease to China were expected to be finalized as soone as late November or December 2000.